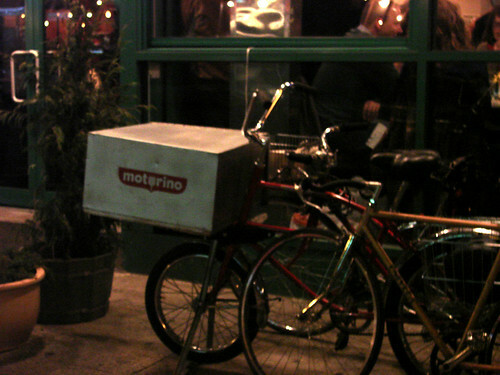 When Motorino opened in Williamsburg last year, there was only one person I really wanted to go with, Bez. Why? Because she actually worked with Mathieu Palombino at a another restaurant and only had good things to say about him. But the chance for us to go never happened, and when we were wandering around the East Village searching for dinner, I suggested finally getting some Motorino at the new Manhattan spot. One of the most obvious differences between the two locations is the size. Though Williamsburg is crowded with no real area to wait, at least it's not the "cram as many tables as possible into the space; be careful walking," the case in East Village. But I missed being able to actually see the oven fire, and watching the pizzas being churned out, a good portion of the Motorino experience to me. The East Village does have more romantic lighting though, so if it's a date you're after, I'd recommend going here as opposed to Williamsburg. 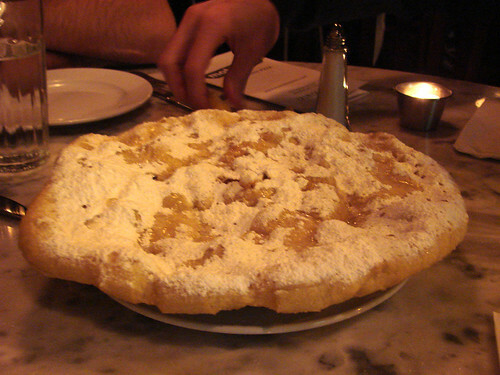 As for the pizza itself, I felt that the ones I have had in Brooklyn tend to be crunchier and a little saltier. 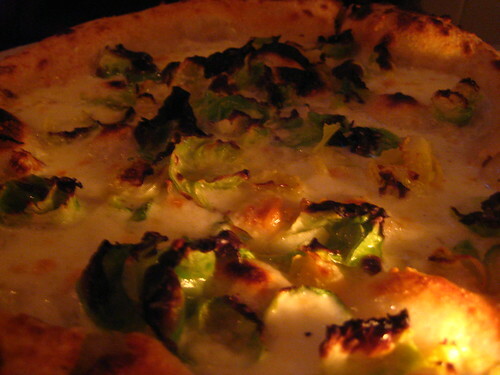 Bez asked for one of my favorites, the Brussels Sprouts, without pancetta (vegetarian and all). She highly enjoyed it: "Brussels Sprouts on pizza is different, but good." I decided to try a new one for me, the Smoked Scamorza and Pancetta. 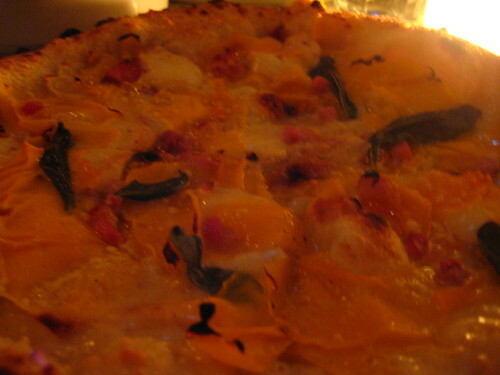 Squash, sage, pancetta, and smoked cheese on pizza; it was like an Italian Thanksgiving, a really delicious Italian Thanksgiving. For dessert we split one of the better tiramisus I've had in a long time. It was very light, fluffy, and most importantly, fresh. 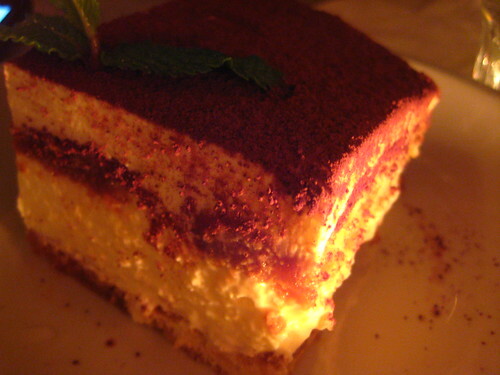 Old tiramisu gets a foul, saturated feel and taste that I can't stand. But this one is definitely worth topping off your meal with. Unless of course there is some fried pizza to be had. That's always awesome. you made me hungry, it all looks so good.